As a central component of contemporary culture, films mirror and shape political debate. Reflecting on this development, scholars in the field of International Relations (IR) increasingly explore the intersection of TV series, fiction film and global politics. So far, however, virtually no systematic scholarly attention has been given to documentary film within IR. 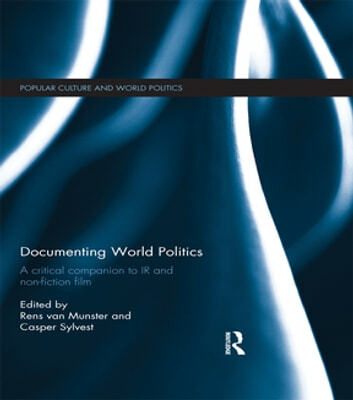 This book fills this void by offering a critical companion to the subject aimed at assisting students, teachers and scholars of IR in understanding and assessing the various ways in which documentary films matter in global politics. The authors of this volume argue that much can be gained if we do not just think of documentaries as a window on or intervention in reality, but as a political epistemology that – like theories – involve particular postures, strategies and methodologies towards the world to which they provide access. This work will be of great interest to students and scholars of international relations, popular culture and world politics and media studies alike.